Intelligence Plaza® is the world’s leading market & competitive intelligence platform for workforce intelligence sharing, storage, collaboration & deployment. 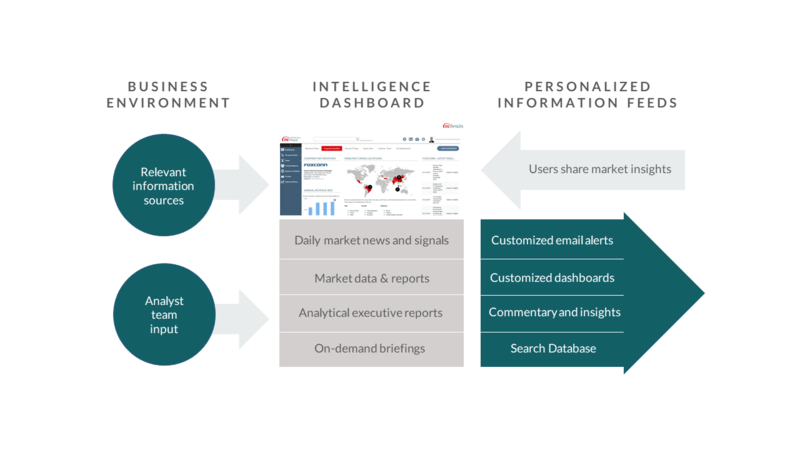 Intelligence Plaza® is a complete competitive intelligence engine that is tailored to help companies manage their media, market and strategic intelligence at world class level. It has been serving tens of thousands of users around the world daily. Comparing with in-house systems, Intelligence Plaza® is usually the least costly option. It not only saves companies a lot of time and effort in setup and maintenance, but also improves companies’ productivity from researching their markets and competitors. Furthermore, 90% of users find Intelligence Plaza® easy to use. With Intelligence Plaza® Competitive intelligence is within reach anytime and anywhere: email alert system, easy-to-use web browser internet interfaces, mobile UI for accessing while on the road, push feeds, access through SharePoint and integration to other systems. Discover the stages to letting Intelligence Plaza® enhance your organization’s impact.